One of the oldest and largest year-round public markets in the United States, Detroit’s Eastern Market is also home to over 125 murals. 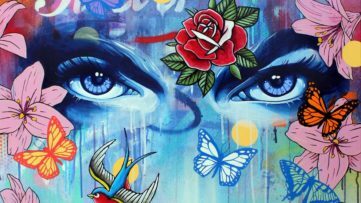 Among them, one can also find works painted by artists like Daniel Bombardier aka Denial, Jeff Soto, James “Dabls” Lewis and Maxx Gramajo, thanks to the annual Murals in the Market Festival. The murals by these four artists could have also been seen as backdrops of a new ad for the Mercedes G 500 vehicle. The car company had used them without permission on their official Instagram account, which is why the four artists filed a lawsuit. In turn, they got sued themselves, by the very same German automaker, for nothing less than – copyright infringement. 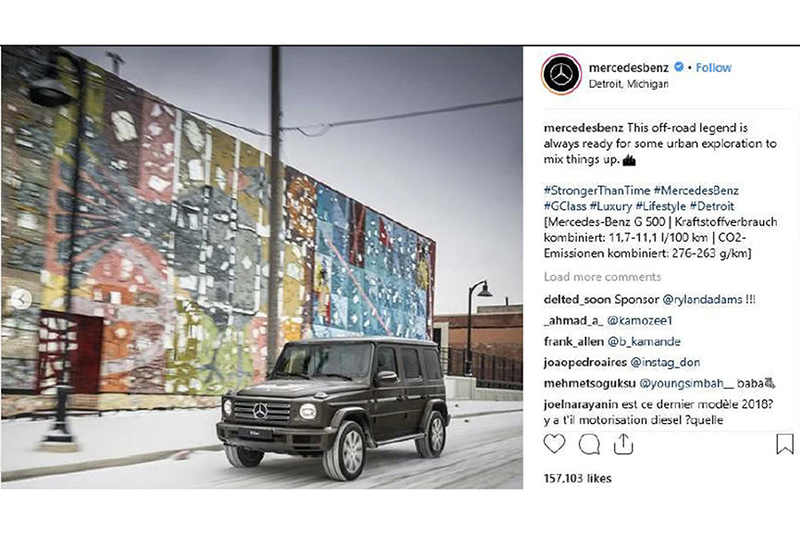 Mercedes-Benz is asking the U.S. District Court for the Eastern District of Michigan to rule that they the right to use the artwork in Instagram posts. 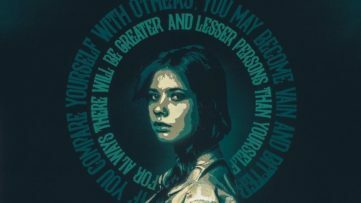 It was January 2018 when the Mercedes-Benz advertisement featuring the murals first saw light of day on Instagram. 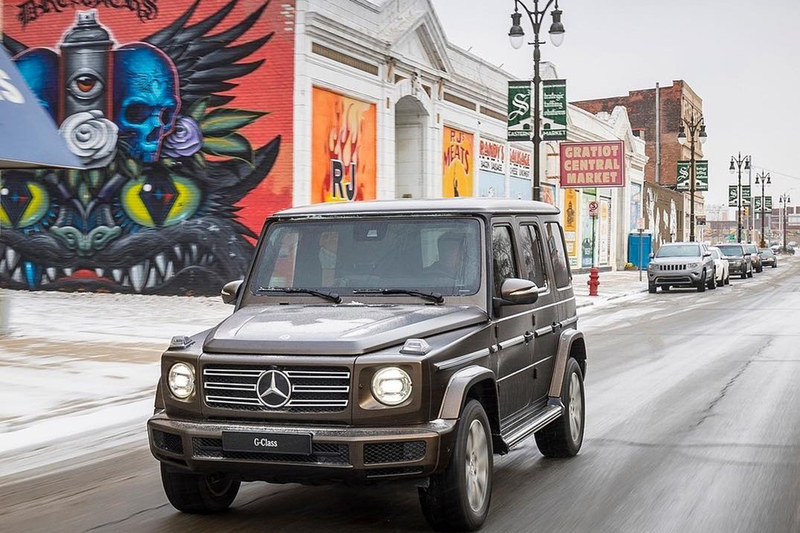 In a series of photos, we see the G 500 model driving past the murals in the Eastern Market, Detroit. After taking the photos off their Instagram profile in the meantime out of “courtesy”, the company then filed a counter-suit, arguing that their campaign did not infringe the artists’ copyrights and that it will fight “an aggressive shakedown effort”, according to Detroit News. Mercedes also claims that the focus of their images was the vehicle itself, and not the art behind it, and that they also employed efforts to “fundamentally transform the visual aesthetic and meaning” of said works by partly blurring them. 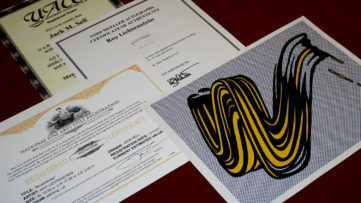 Roula David, executive director of Murals in the Market festival, said that the lawsuit is “particularly offensive” as Mercedes had already contacted them in the past to license other murals for similar ad campaigns. These lawsuits represent only the latest in the series of attempts to protect the integrity of public art and its creators. Aside from the now famous Revok vs H&M saga, other cases have been battling a similar battle as well. In 2018, Adrian Falkner aka Smash137 sued General Motors for using his Detroit mural in their ads. This trial was moved forward in September. Public art has become an important and beautiful attraction in cities around the world. Mercedes’ actions could scare artists into not wanting to make any artwork outdoors for fear that big companies will use and exploit their work without permission, and we must never let that happen. We are dedicated to fighting against this type of oppression and we stand alongside the global artist community against Mercedes’ bullying.